The designs of the cards are based on an earlier prototype published by C.L. Wüst of Frankfurt/Main. 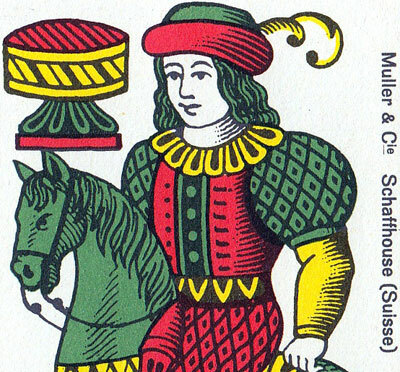 The Wüst star can still be seen on the Ace of coins. 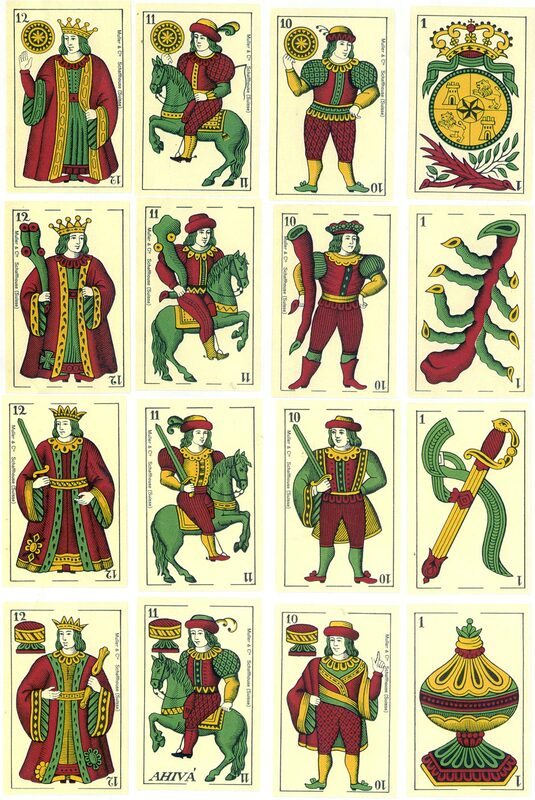 Above: cards from a traditional Spanish Cádiz-style pack, manufactured by Müller & Cie, Schaffhausen, 1952 for export to North Africa, apparently for a client who never actually used it.